Rani is known amongst her neighbors and family as little Rani. “I never got married- no one wanted to marry me. They would call me a dwarf! My family was very upset at this but I decided then that I would never be a financial burden on anyone.” Rani is no burden; in fact she brings in half of the income on which her brother and his wife, whom she lives with, survive. 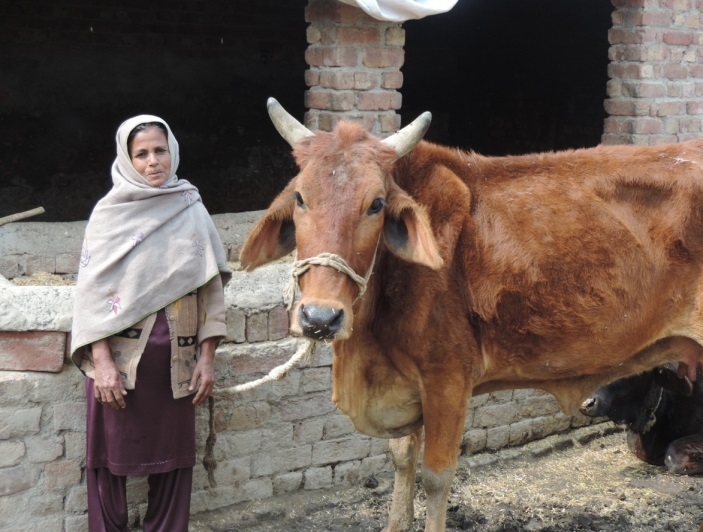 Rani has been working for ten years with livestock, selling cow milk and manure for farming and fertilizer.